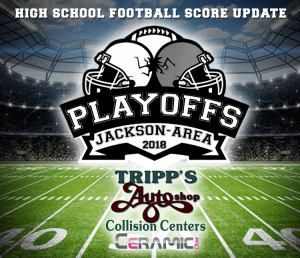 Tonight there will 2 live broadcasts of high school football on our Jackson radio Works stations. On WKHM Jackson’s News Talk 970 AM/101.5 FM Greg O’Connor and Tom Ratchford will be broadcasting from Withington Stadium with play-by-play of the 9-0 Jackson Vikings and the 6-3 Okemos Chieftans. On K105.3 Steve Boyle and Jason Smith will be announcing all of the action from Grass Lake as the Warriors (8-1) take on the Michigan Center Cardinals (8-1).